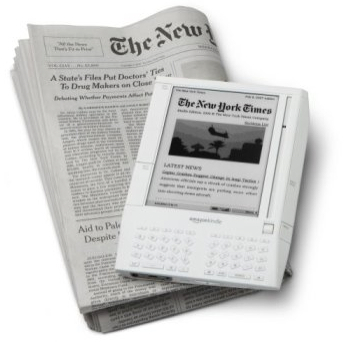 Acquisition to Spark Kindle Reboot? Kindle users will be interested to read that Amazon is set to tackle the challenge of the iPad head on with their rumoured acquisition of Touchco, a start-up based in New York that specialises in touch-screen technology. Upgrading the Kindle will the main objective as they merge Touchco’s technology and staff members into its Kindle hardware division, Lab126, based in California. The New York Times is pretty certain Amazon is in reach of taking over Touchco. 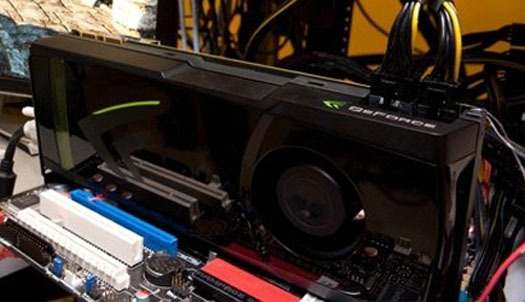 The interest of Amazon was said to be piqued by a technology Touchco uses called interpolating force-sensitive resistance, which it puts into displays that can be completely transparent and could cost as little as $10 (€7.20) a square foot. According to a New York Times article, “The capacitive touch screens used in the iPad and iPhone are considerably more expensive. Unlike those screens, the Touchco screens can also detect an unlimited number of simultaneous touch points. DVD and Blu-Ray Prices to Rise? It seems that prices for Blu-Ray and DVD could well rise over the course of the next couple of months, due to increasing costs of manufacturing blank discs. Word comes via Digitimes of the rising cost of polycarbonate, which is one of those “can’t do without” materials when it comes to manufacturing disc-based media. While the price of polycarbonate has already been on the rise, it’s been reported that if the price of raw materials continues to rise when we can expect to see that cost passed on to those of us on the opposite end. It seems that the running spat between Amazon and publisher Macmillan has come to something of a close, with Amazon announcing that it will allow the books to be sold for the price Macmillan had requested. The issue arose when Macmillan attempted to price digital versions of its books at $15, which is fully 150% of the usual amount for ebooks available through Amazon’s Kindle Store. Macmillan weighed in with the fairly heavy threat that, unless Amazon allowed the heftier pricing, it would not be distributing new books to Amazon on release. It seems that Amazon has been living it up, thanks in no small part to massive sales of its Kindle ebook reader over the Christmas block. Amazon seems to have KINDLED a virtual book market... please, shoot me. According to Cnet, Amazon has had a very fine year indeed, with revenue up to $9.52 billion, a fairly staggering increase on last year, to the tune of 42%. Indeed, reports also indicate that Amazon has seen profits rise by around the 70% mark, which is nothing to be sneezed at. Apparently, the fourth quarter of last year (which happily enough includes both Christmas and the US’s Black Friday sales) was the most profitable quarter the company has ever seen. 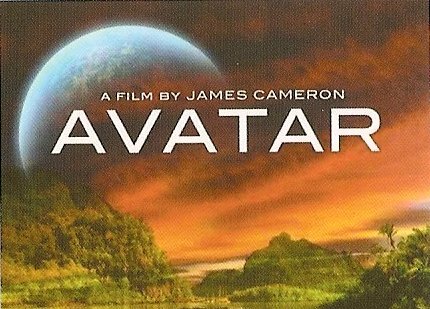 After some fairly dubious initial reviews about its storyline, it seems that James Cameron’s Avatar has finally unseated Titanic as the biggest blockbuster of all time. The film has long been expected to pass the previous record holder, Cameron’s own Titanic, out in terms of pure ticket sales and has just generally being touted as the biggest movie ever, in case anyone hadn’t quite gotten the point yet. It’s also very interesting to note that it seems to be the fact that the film is one of the first truly major releases to boast 3D, an option that it seems the vast majority of those who have gone to see it have taken advantage of. Google continue to taunt pretty much the rest of the globe by making a frankly unnecessary amount of cash, reporting fourth quarter revenues from 2009 of $6.67 billion (at this point I’d usually translate this into euro but I think it’s fairly safe to assume we all get it… they’re doing very well). Google execs roll into work this morning. Anyway, this figure is up 17% on the same period in 2008 with the company’s profits from the last part of 2009 coming in a whopping 400% above the previous year at $1.97 billion. “This was a very strong quarter for Google, an extraordinary end to a roller-coaster year by any measure,” said Google Chief Executive, Eric Schmidt in a call with (presumably champagne-swilling) investors. It seems that James Cameron’s Avatar has spurred George Lucas tentative plans to see a Star Wars release in 3D. Apple Tablet to be Delayed for Six Months? The bells and whistles of Apple’s tablet launch on 27 January may end up being somewhat muted after rumours began to surface today that the product may well be delayed from going on sale for six months due to concerns over battery life and durability. 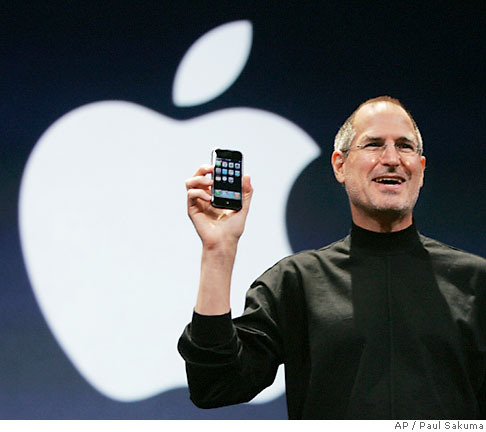 We know Steve Jobs will wear black to the launch, but when will the public get their hands on the tablet? 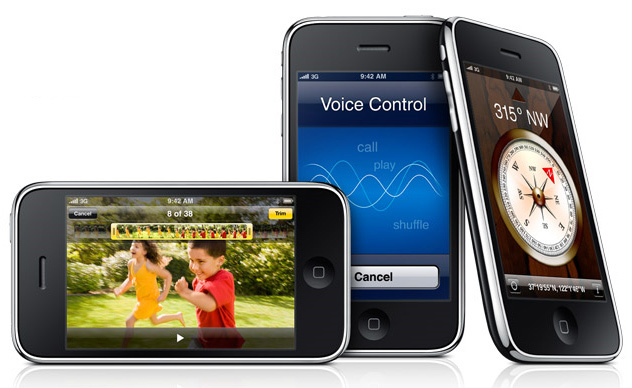 Following a similar pattern to the launch of the iPhone – unveiled in January 2007 but not in the hands of consumers until the following June – the Daily Telegraph are reporting that according to a new note to investors, written by analyst Shaw Wu, from investment bank Kaufman Bros, the actual sale of the device could be delayed due to these “minor issues”. Bing to Become iPhone Default Search? It seems that Apple is considering moving the default search for its iPhone users from Google to Bing, which is a bit of a surprise. According to a report in BusinessWeek, Apple is already in talks with Microsoft to replace the default Google search option in its iPhone OS with one that searches through Microsoft’s search engine instead. It’s an interesting prospect, if only because it’s a fairly major shift quite late in the device’s life, but it also says an awful lot about the direction that Apple sees its business going.